Englewood Property Management, Englewood Property Managers, Englewood Property Management Companies. We offer a full range of property management services tailored to you as an investor, homeowner, or landlord. We have an extensive portfolio of single family homes, townhouses and condos in the Englewood area. 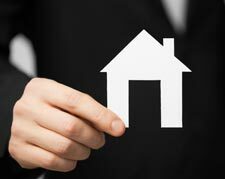 Benefits of using Laureate, Ltd.
Why Choose Laureate, Ltd. as your Englewood Property Management Company? We can take the worry out of renting your property! Our main objective is to provide quality insight and information to our clients. Laureate Ltd will acquire and deliver the most accurate information and advice, allowing our clientele to make informed decisions about their rental properties. Laureate Ltd. guarantees quality customer service! The history of Englewood begins when gold was discovered on what came to be called Little Dry Creek by William Green Russell, an early settler of the high plains, in 1858. Two years later, Thomas Skerritt, considered to be the founder of the city, established a home in the area, which was called Orchard Place. Four years later the first road connecting Denver and Orchard Place was created by Skerritt himself using his own plough. In 1879 the first telephone arrived in the area.